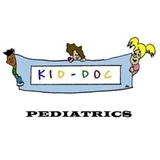 Kid-Doc Pediatrics (San Antonio) - Book Appointment Online! ***For New Patients with Special Needs or ADHD/ADD, Contact office for appointment*** Families are Forever… at Kid-Doc Pediatrics. We believe that and dedicate ourselves to giving our kids a healthy life so they can achieve success and happiness throughout their lifetime. Long lasting relationships are developed here and before we know it …. our children become adolescents in front of our eyes and make us smile. KID-DOC Pediatrics believes in personal care. The facility boasts a large aquarium to keep the children fascinated. Toy trains, books, and other items are provided for the children’s entertainment. Separate well-child and sick-child areas are available.